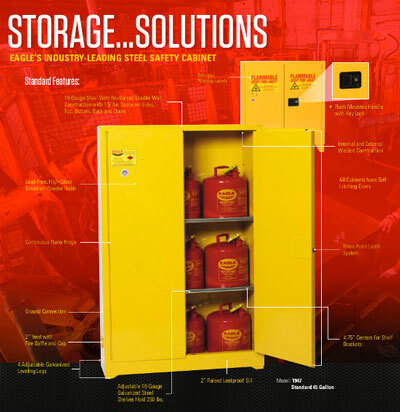 Keane Fire and Safety sells and installs a variety of flammable storage safety cabinets. These cabinets are designed to store a variety of flammable, corrosive or hazardous liquids for any commercial, industrial facility or laboratory. Cabinet sizes range from 4 to 120 gallons and are manufactured in a variety of colors and configurations. All cabinets are USA made and meet NFPA code 30 and OSHA specifications. Click here for a flammable cabinet brochure.